Inside of every garage door are numerous springs that allow it to raise and lower upon command. These springs are lightweight and all perform a specific function. One thing they have in common is that they can bear the pressure of garage doors weighing up to several hundred pounds. Garage door springs can break without warning due to excess wear. If this happens while the door is open, it could have catastrophic consequences. It's dangerous to try to repair broken garage door springs yourself, whether the door is open or closed at the time. It could very easily fall on top of you if open or act in unpredictable ways when closed. 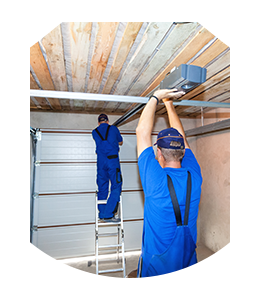 The emergency garage door repair service team are in every nook and corner of the Chicago, IL that helps them to arrive within minutes of your call to replace any broken springs. Working with Interstate Garage Doors is the only way to ensure your safety. Torsion springs are tightly coiled when at rest, but uncoil as soon as you lift the garage door. Without torsion springs, your garage door would remain in the closed position. These springs are powered by a strong beam located near the top of the garage door. Unfortunately, they are also prone to sudden breakage due to years of frequent use. It’s best to avoid this situation by requesting routine maintenance or contacting us if you suspect any type of performance issue. Torsion springs have at least three unique components that differentiate them from each other as well as other types of springs. They come in different wire sizes, lengths, and heights that isn’t always recognizable to the untrained eye. However, knowing these differences is essential to install and repair the torsion springs correctly. Our service technicians can test them to determine how many more times you can safely lift and lower your garage door before it’s time to replace the torsion springs. 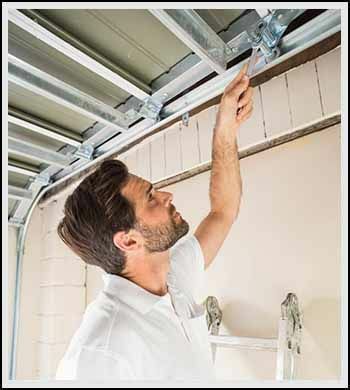 Extension springs play an equally important role in the functioning of your garage door. They constrict and extend when activated, making it possible to open or close the door. These springs allow the garage door to hold heavy equipment in place that propels the entire system. Like other springs, extension springs can break without warning after having successfully held up to hundreds of pounds of pressure for a long time.